This recipe was taught to me by a friend. Actually I visited her place and superb aroma came from the kitchen. I straight away went to the kitchen to find out what was being cooked. Here, I saw green garlic for the first time. It was being sautéed. Quickly I grasped the recipe narrated by her. Often I make this vegetable at home especially in winter season whem there ia ample supply of green garlic. 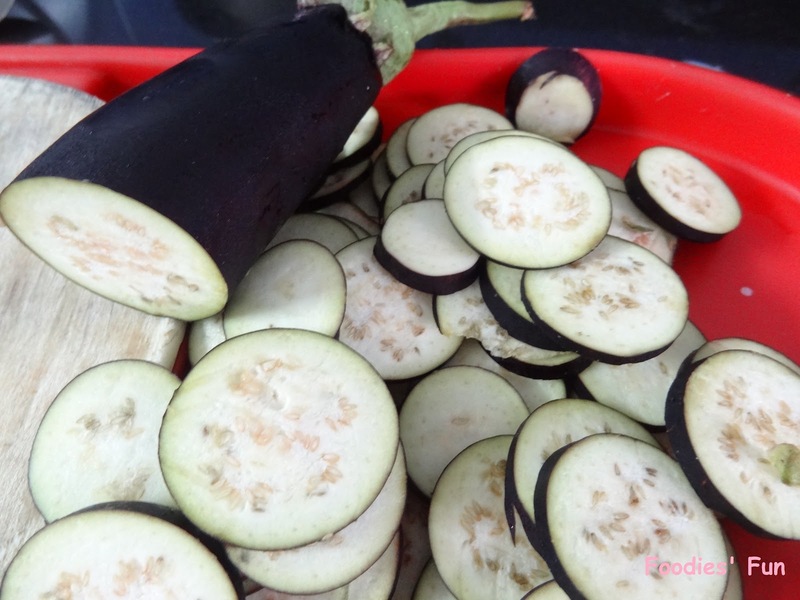 It is liked by all as it is yummy and tastes different than traditional brinjal recipes. 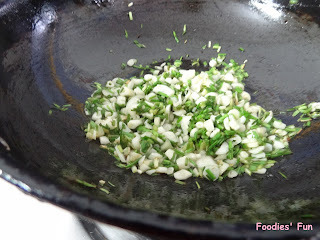 Finely chop green garlic. And it should be green garlic not the ordinary garlic. Wash brinjal properly and pat it dry. Slice them. Peel off potatoes, wash them and cut into slices. While you are cutting vegetables, pour oil in a frying pan and let it heat. 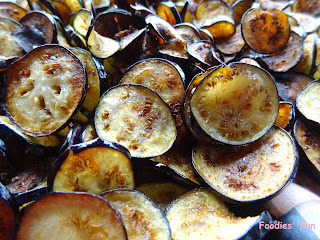 After it heats up, fry sliced brinjal and potato till they are brown in colour. This will take about 15 minutes. Soak off the extra oil from fried vegetable on an absorbent paper. Now pour out extra oil from the frying pan keeping about 2 tbl spn of oil in the pan. This should be fine to sauté green garlic. As the oil heats up, put garlic to it. 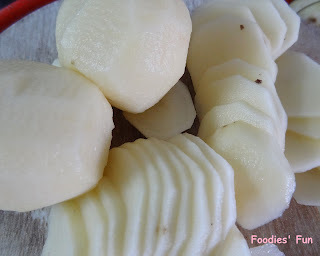 Sauté it for about 2-3 minutes till they turn golden brown. 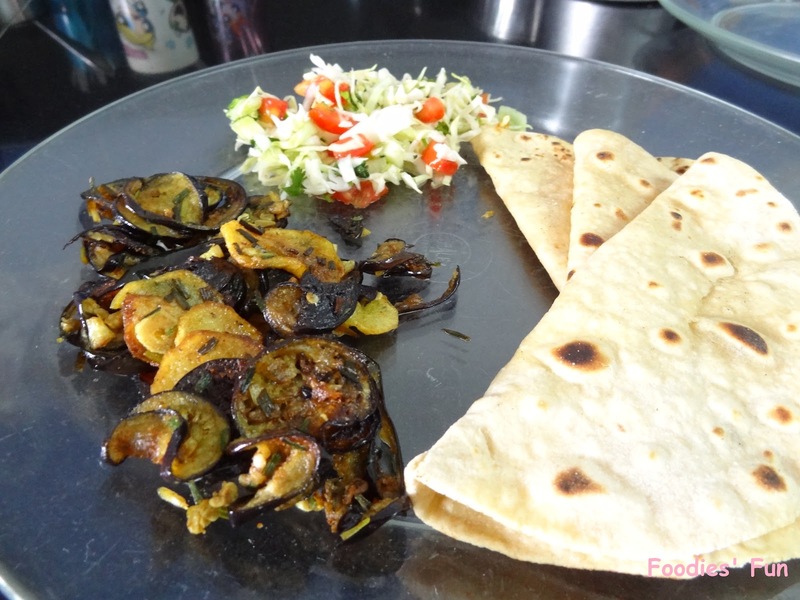 Add salt, turmeric powder, red chilli powder & coriander-cumin powder to it. Mix them all well. 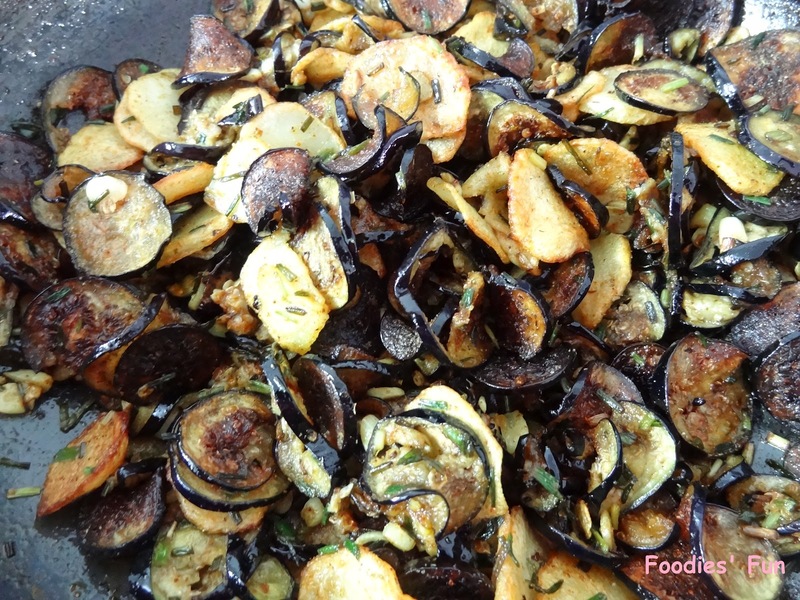 Now put fried brinjal and potato and season generously. 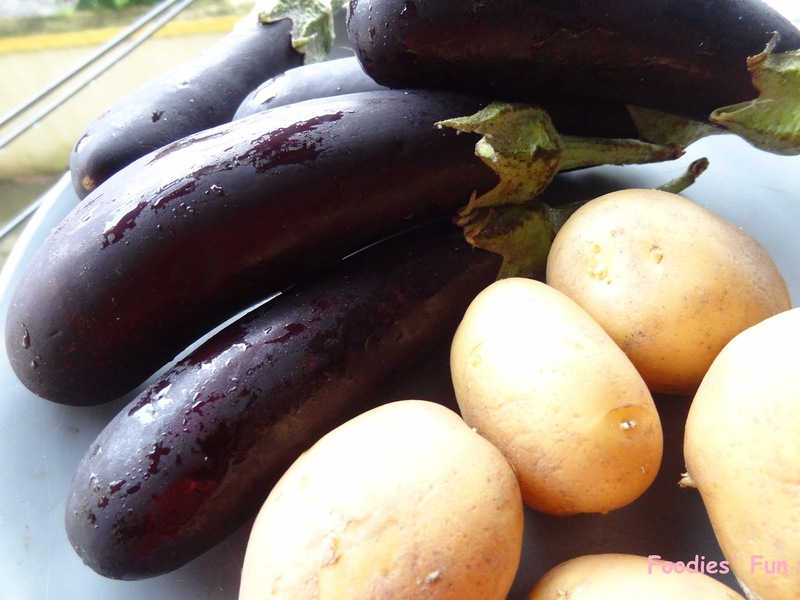 Put off the stove and the vegetable is ready to be served.